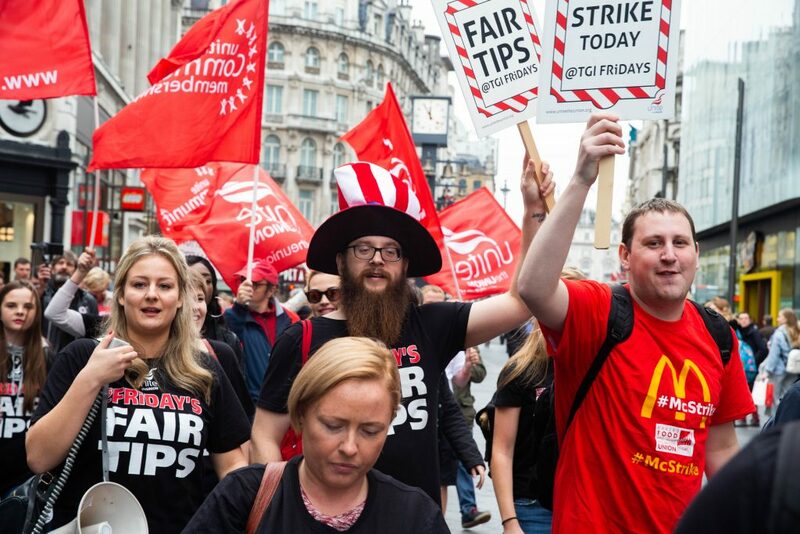 Some of the UK’s most popular food and drink chains – TGI Fridays, McDonald’s and Wetherspoons – faced coordinated strike action today (October 4) from a young and defiant workforce that congregated in central London for a mass solidarity rally. Chants of ‘If we don’t get it, shut it down’ and ‘I believe that we will win’ echoed across London’s Leicester Square, a busy shopping thoroughfare, as the workers gathered together with supporters to send a message to fast food corporations across the UK – that they had had enough of low pay and poor working conditions. 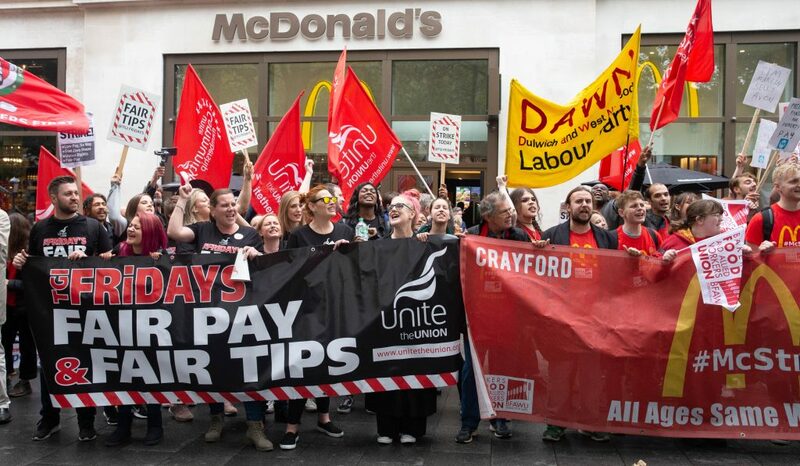 UberEats, Deliveroo, and Uber workers also joined demonstrations in cities across the UK, including Brighton, Bristol, Cardiff, Glasgow, Newcastle, Plymouth and Southampton. 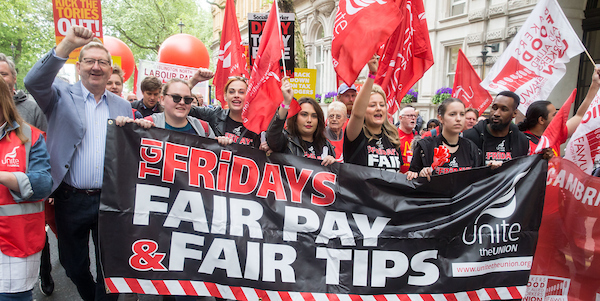 Unite TGI Fridays workers in London and Milton Keynes are striking for the eighth time today in response to a tipping policy, introduced earlier this year, that swipes 40 per cent of waiters’ card tips and redistributes them to kitchen staff. The move has left many staff about £250 a month worse off. Unite member Boni Adeliyi, was set to go to drama school this fall – she was supposed to start yesterday – but after losing her tips, she’s had to postpone a dream of hers that had been years in the making. Boni had never been part of a trade union before, but she said it was a natural next step after staff complaints to management went unheeded. “We sent e-mails, wrote letters and made it clear that we weren’t happy with what management was doing, but we didn’t get anything from them except for a generic, dismissive response. Although the tips dispute continues, Boni and her colleagues have seen the difference being unionised has made to their working lives. TGI Fridays bartender David Bailey (pictured above, centre) told UNITElive that even though he isn’t affected directly by the tips policy, he’s still backing the strike. “I’m indirectly affected because waiters give us 10 per cent of their tips anyway so there’s a knock-on effect on bar staff,” he said. But even kitchen staff, David explains, who have financially benefited from the new tips policy are standing with their colleagues. 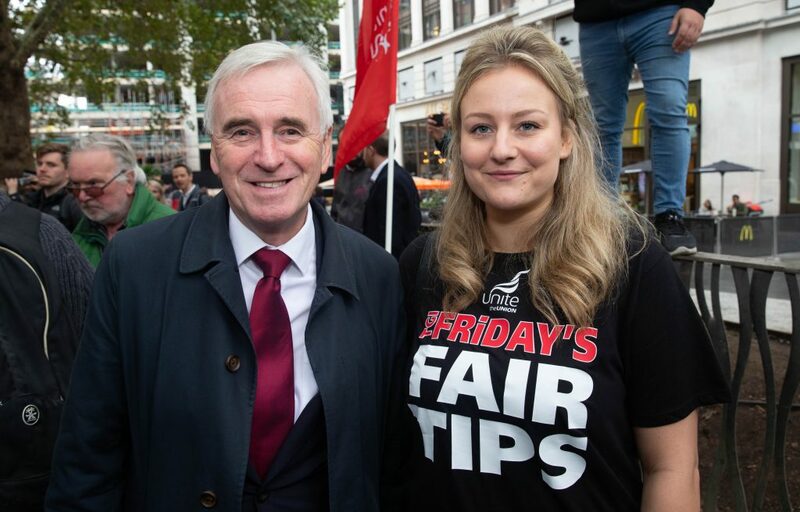 Unite rep and TGI Fridays waitress Lauren Townsend (pictured below with Shadow Chancellor John McDonnell) explained that she and her colleagues are striking for more than just a fair tips policy. 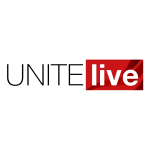 Unite member and TGI Fridays waitress Beattie Slavin agreed. Striking workers from TGI Fridays, Unite members, alongside McDonald’s and Wetherspoons workers, who are members of the Bakers, Food and Allied Workers Union (BFAWU), were joined today too by hospitality workers and union activists from across the world, including Germany, France, the US, Thailand and other countries. They stood united in their demand for higher wages – in the case of UK workers for £10 an hour – and union recognition. 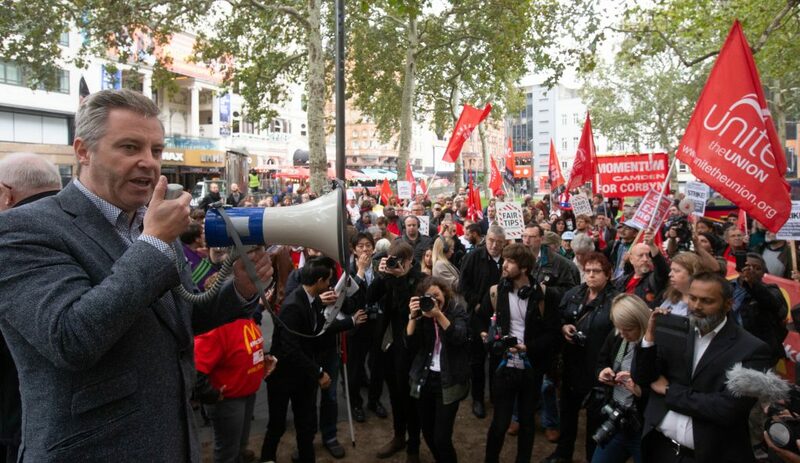 Shadow chancellor John McDonnell addressed the rally today, pledging his and the Labour party’s full support. “These are workers that have been ignored by their employers and are simply asking for a wage they can live on and the same basic rights at work we should all be entitled to,” he said. Unite regional officer Dave Turnbull reminded the striking workers that they have joined a long and proud tradition of trade unionism within hospitality – just after the Second World War, Savoy Hotel workers walked out in a historic strike action that quickly spread across hotels and catering in London and beyond.